Your little beach bunny will be as pretty as a picture in the black and white photo inspired Speedo Faultline Cross Y Back Girls’ One Piece. With a bold photo print highlighted by watermelon pink accent straps, the look is finished off with a pretty pink Speedo logo over the front and centre. 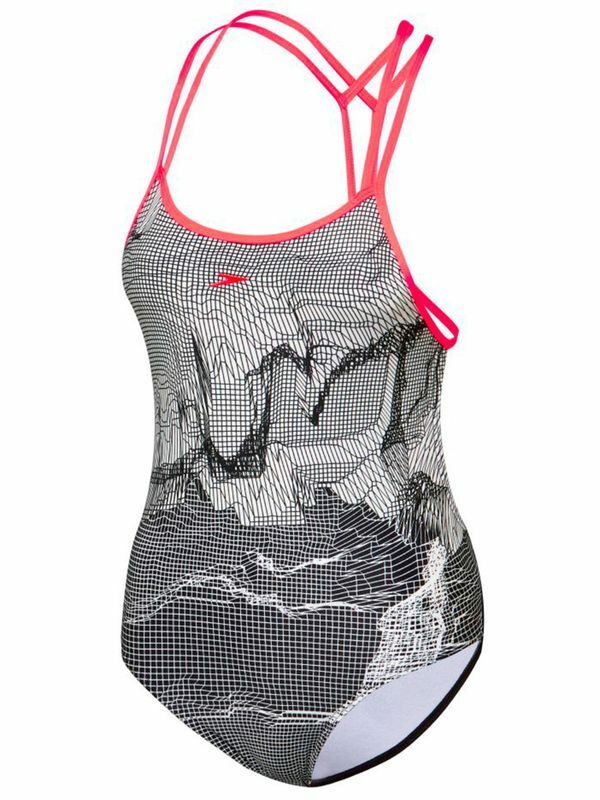 And you can’t fault the design of the Speedo Faultline Cross Y Back Girls’ One Piece! Made by our fave Aussie swimwear company, this fab one piece is resistant to sagging and bagging and offers a four-way stretch design that will make this one piece fit like a dream. Faultlines Cross Y Back Girls One Piece manufactured by Speedo Swimwear the worlds leading swimwear brand. Speedo is passionate about life in and around the water, creating revolutionary new technologies, designs and innovations.